Vern Chellberg, Principal of IVY STUDIO, an outdoor expansion consulting design and build firm in the Boston area, is a strong advocate of early planning and early implementation to ensure maximum use and enjoyment of your newly installed pool. Pool projects are typically complex, with many moving parts and it bodes well to start the design phase now in order to enjoy and use your pool next season. 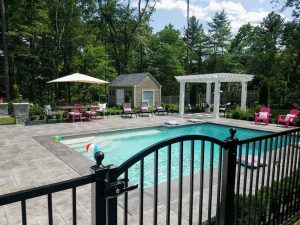 Contact us at 781- 591-0300 or vern@ivystudioMA.com to learn more about our process and schedule a no- obligation consultation and take the plunge towards expanding your outdoor environment with a pool and spa addition.